An investigation by Associated Press has found that Google continues to record its users’ locations even when they have been specifically instructed not to, in the latest bombshell privacy revelation to rock a big-name tech company. According to the report, which has been verified by researchers at Princeton University, users of Google Maps or Google Search Engine apps on either Android or iOS are affected by the issue, which sees the company continue to record details of user’s whereabouts even when they have disabled the location history setting. The findings of the record echo similar claims made in Australia by Oracle, which suggested that Google’s Android app had been secretly harvesting user location details. The new findings, which affect users across the globe will make for chilling reading for privacy-conscious users of their service. It doesn’t seem unreasonable to think that when you disable the location history in your Google account, that means they will not retain details of your location. But they do. AP has found that numerous Google apps still regularly record location data, and deleting it is a time-consuming and laborious process. The report found that Google takes a record of your location every time you open the Google Map app. And when you run a Google search, regardless of whether it is related to your location, the company will also record a user’s precise longitude and latitude. There are more oblique examples too, such as Google pinpointing the location of Android users who run automatically weather updates. Is Google being disingenuous of deceptive? The Princeton research team which verified the report illustrated how intrusive this data could be by sending one of their team off around New York in possession of an Android phone with his location history switched off. They then created a visual map using the data that Google was still able to collect from his device. On the map, his journey to The High Line Park, Chelsea Market, Hell’s Kitchen, Central Park and Harlem was clearly visible, as was the home address where he started and finished his trip. Security experts have suggested that, at best, Google is being extremely disingenuous by continuing to collect this data even when location history has been switched off. At worst, they are deceiving their users. It seems the bare minimum that such a feature should deliver to users. So, how can you stop Google from recording your location history? According to Princeton Researchers, there is actually another feature which has to be disabled too. It is called Web & App Activity and nowhere does Google suggest that this has anything to do with recording location data. Web & App Activity is enabled by default, which means that many users will be blissfully unaware that their device is enabling Google to record location data about them. If you have switched off Location History but not Web and App activity, Google will still be keeping regular records of your location data. The only difference is that they won’t be adding that data to a timeline. You can see the data that has been recorded about you in the My Activity section of your Google account. But that data is spread over various sections and to delete it, you will have to select and remove each record individually. It is widely believed that Google’s desire to keep collecting user location data stems from the huge advertising revenue such data can help generate. For example, advertisers with Google these days can use location histories to monitor how much their adverts are driving customers to their stores. They can also target adverts at users in specific locations, down to the level of a single mile around a specific point. Google’s advertising revenue for the last financial year was $95.4 billion, which was a 20% increase over the previous twelve months. 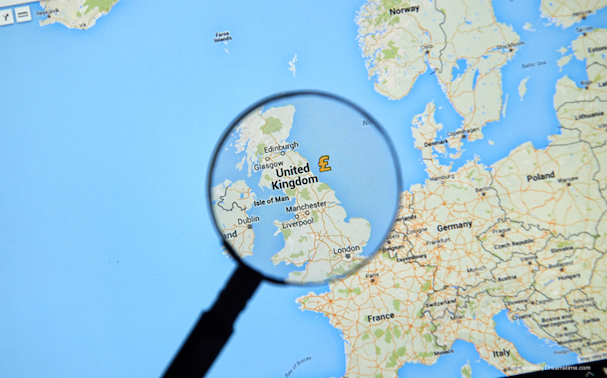 Location data plays a growing role in these revenues and it is clearly in Google’s interest to ensure they continue to gather it. Users who are not keen on Google knowing exactly where they are at all times, or profiting from this data, have the option to disable the Web & App Activity feature. Or another option is to stop using Google altogether and place their trust in a more privacy-friendly search engine like DuckDuckGo.